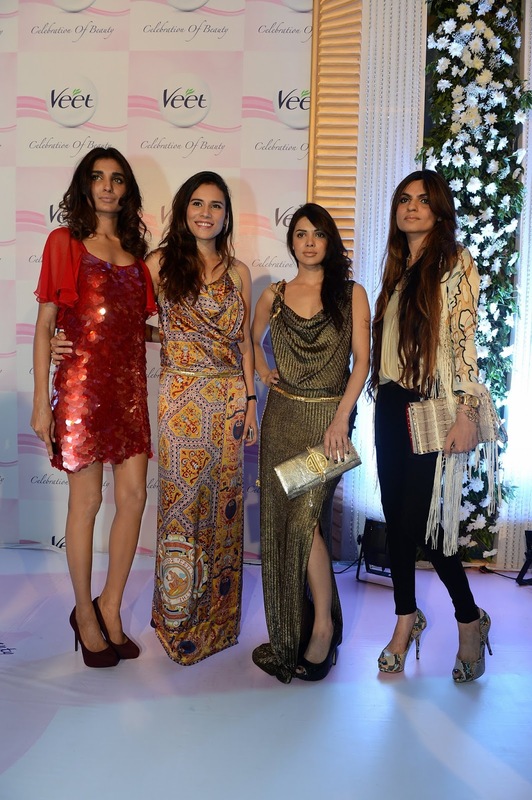 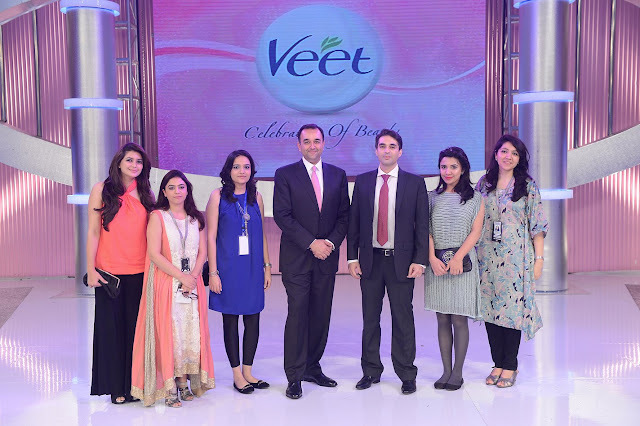 Veet Celebration of Beauty 2013 Event was recently held in Karachi. 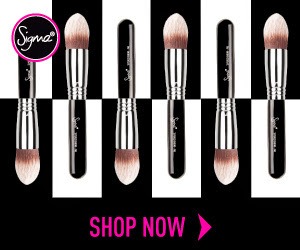 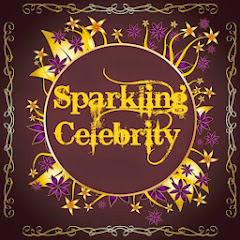 Sparkling's Makeup Blog is Publishing the Post Event Report for its readers worldwide. 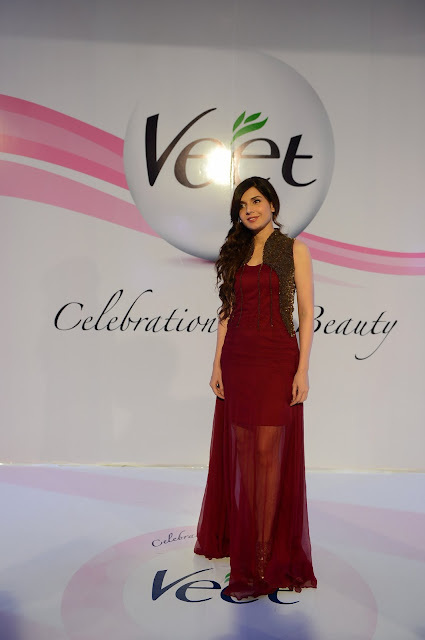 Hope you enjoy the Star studded Festivity and Celebration. 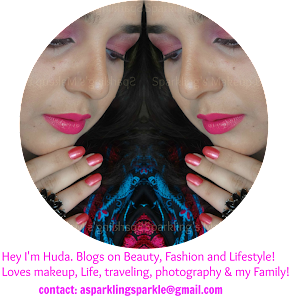 Beware this post is loaded with photos A.K.A PHOTO HEAVY. 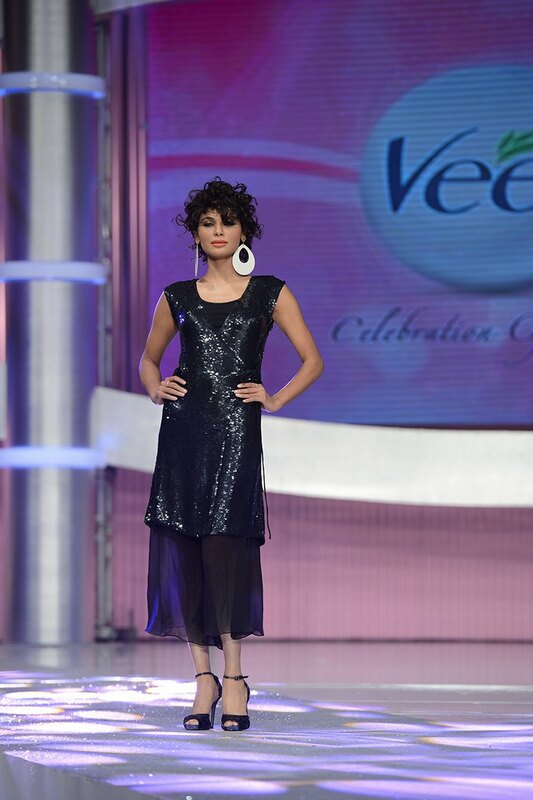 [Karachi, 25thAugust 2013]: Veet, the world’s leading brand in hair removal, held its acclaimed fashion event – “Veet Celebration of Beauty” on 24th August at Expo Centre in Karachi. 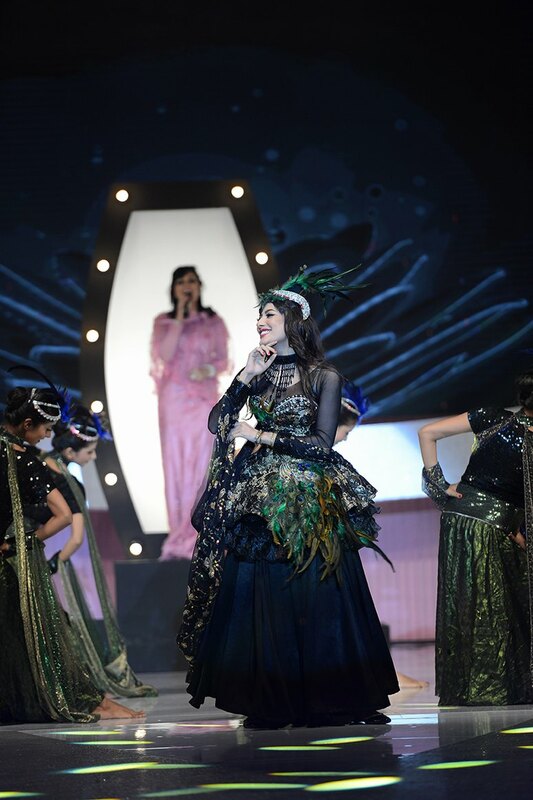 Hosted by renowned Pakistani Film and Television stars Aamina Sheikh and Azfar Rehman, the entertainment extravaganza consisted of a live fashion show, music and dance entertainment and a Beauty Awards segment which celebrated the best of Pakistani beauty. 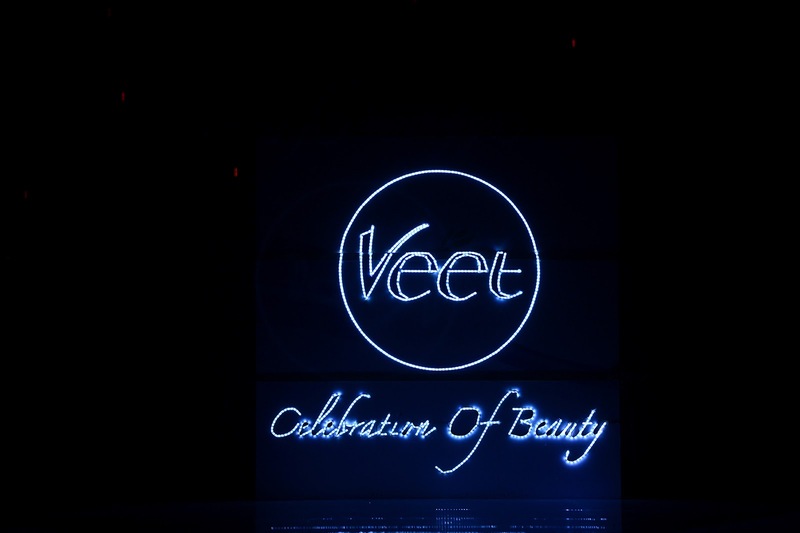 Indeed, this year’s Veet Celebration of Beauty was expanded in scale and scope to feature a diverse range of content in a singular interactive ceremony, a marked first for the beauty brand. 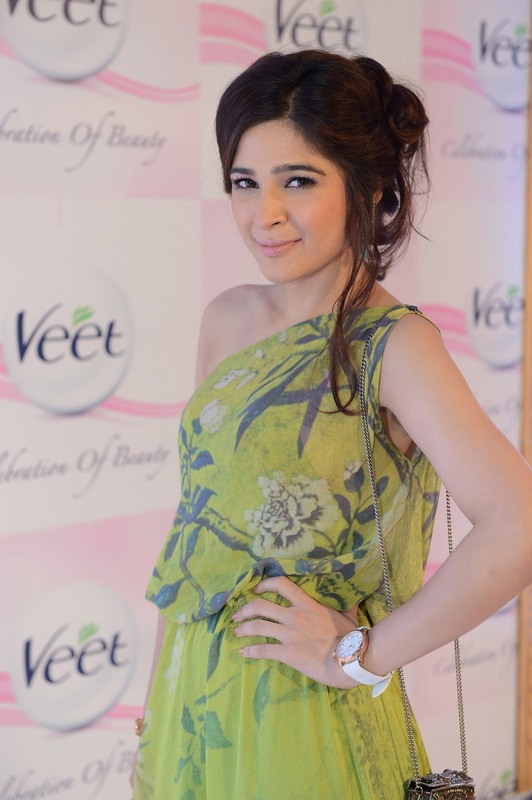 The Pink Carpet of Veet Celebration of Beauty 2013 was hosted by TV personality Ayesha Omar. 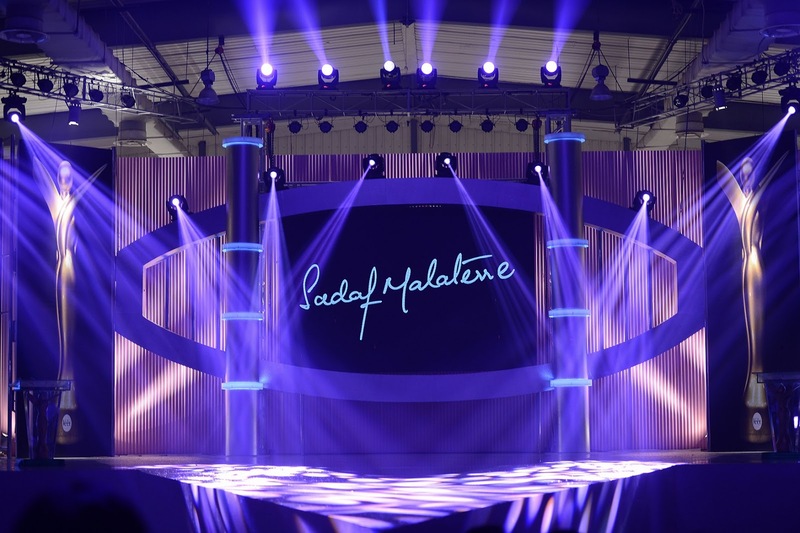 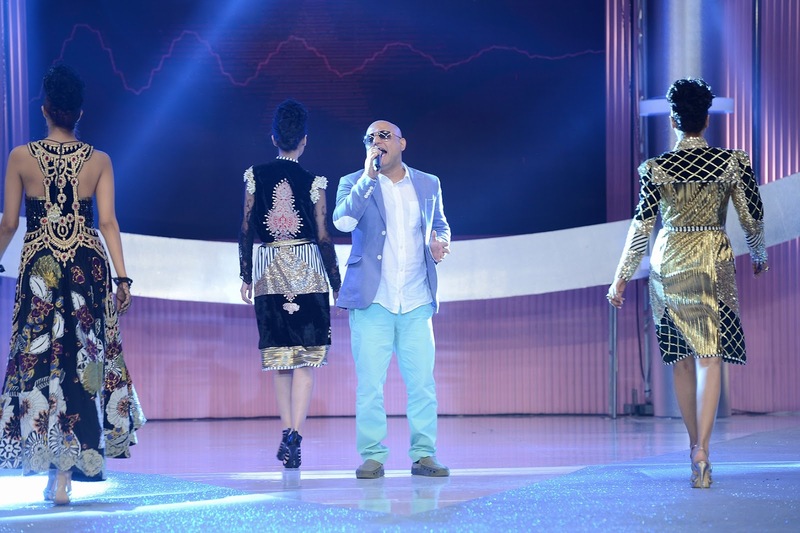 The Fashion showcase was divided into four unique segments which celebrated Pakistani fashion through the ages as conceptualized and styled by NABILA and her team. 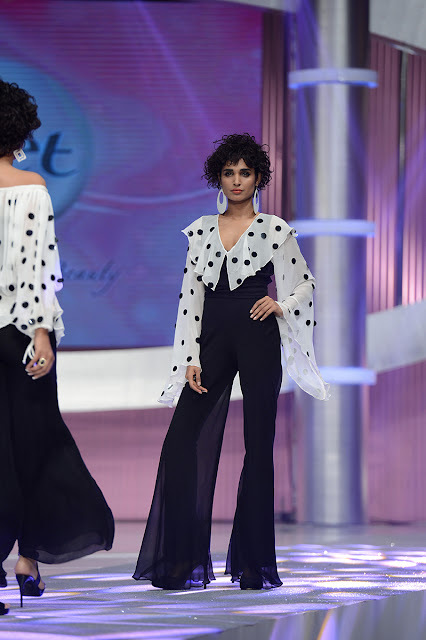 The Vintage segment paid homage to the bygone era of classic Pakistani cinema and featuredÉlan by Khadijah Shahwho presented her collection along with celebrity showstopper ZebaBakhtiar. 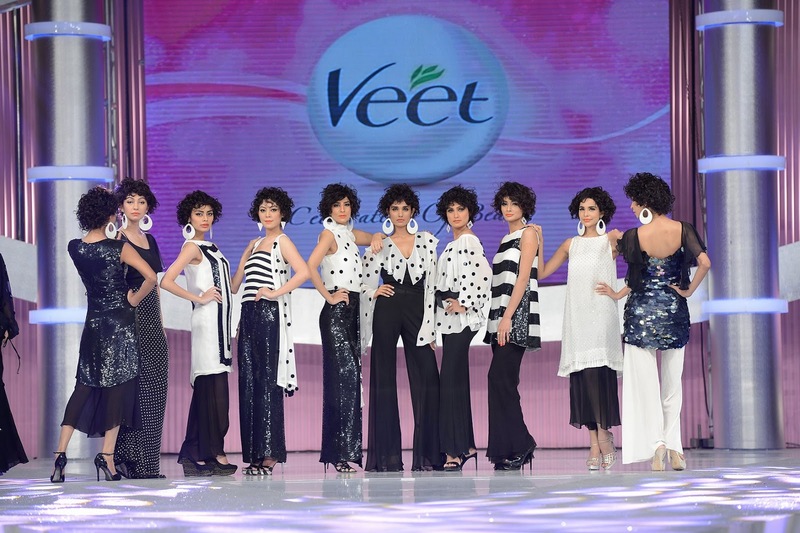 The Retro segment paid tribute to the roaring 70’s and showcased the fashion stylings of designer Sadaf Malaterre, whose collection, aptly complemented by vivacious makeup and styling, portrayed the psychedelic nature of the era. 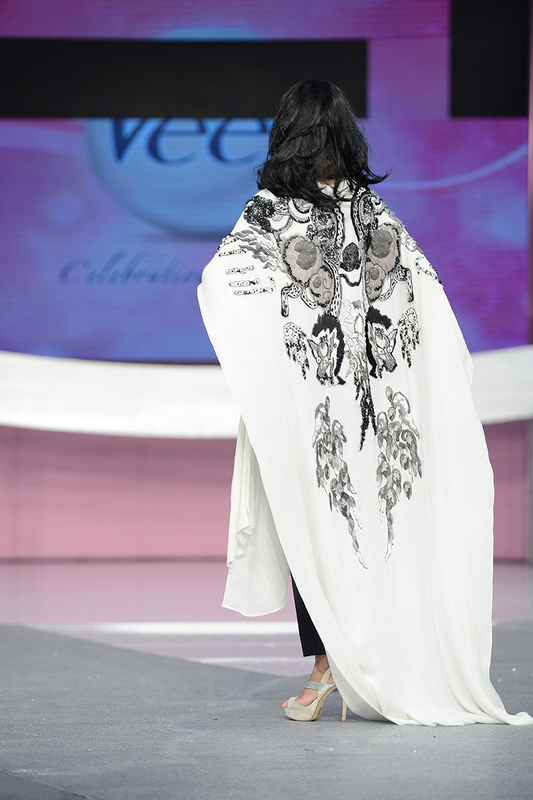 The segment was closed by celebrity showstopper and Lollywood actress Sana Fakhar walking the ramp. 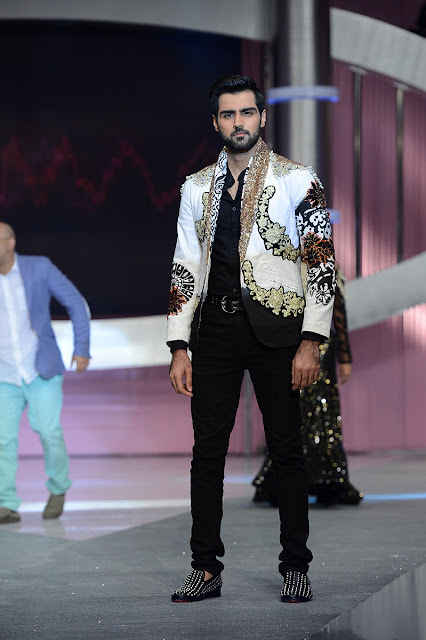 For the Pop segment, designer Ali Xeeshanpresented his disco inspired fashion collection along with celebrity showstopper Nadia Hussain, providing a befitting ode to the glamorous and over-the-top 80’s. 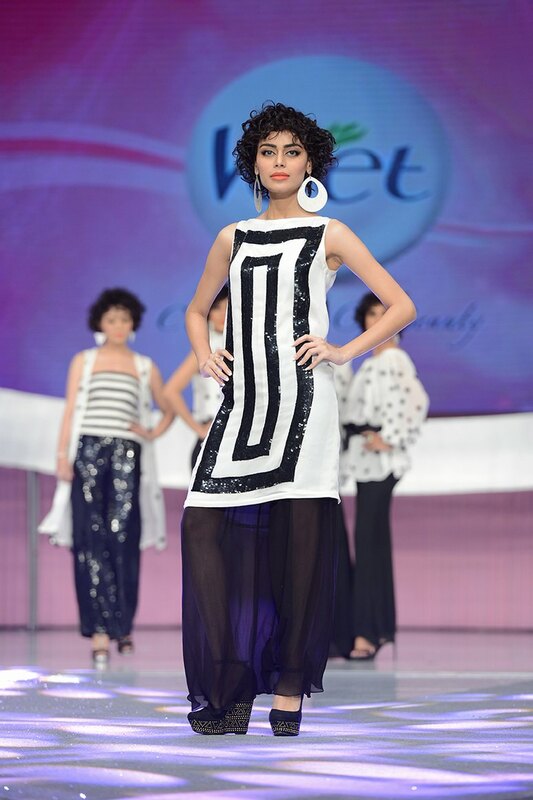 The final fashion segment of the day titled Eclecticwas presented by design label Sana Safinazand featured celebrity showstopper HumaimaMalick. 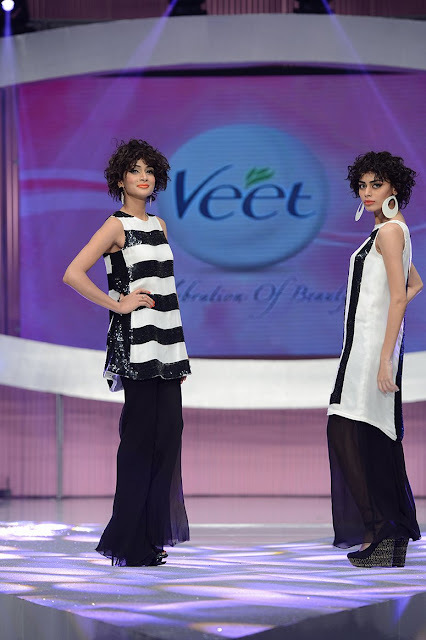 The segment encapsulated the present, depicting the fashion and aesthetic style of the modern Pakistani woman who lives for the NOW. 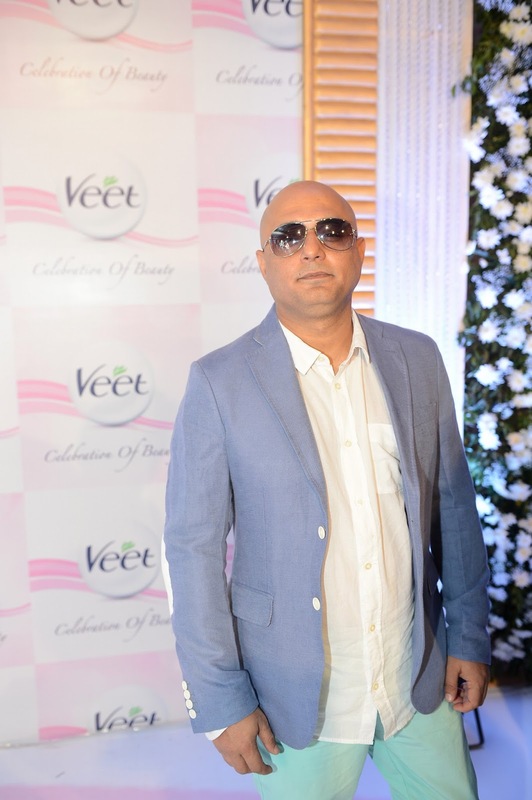 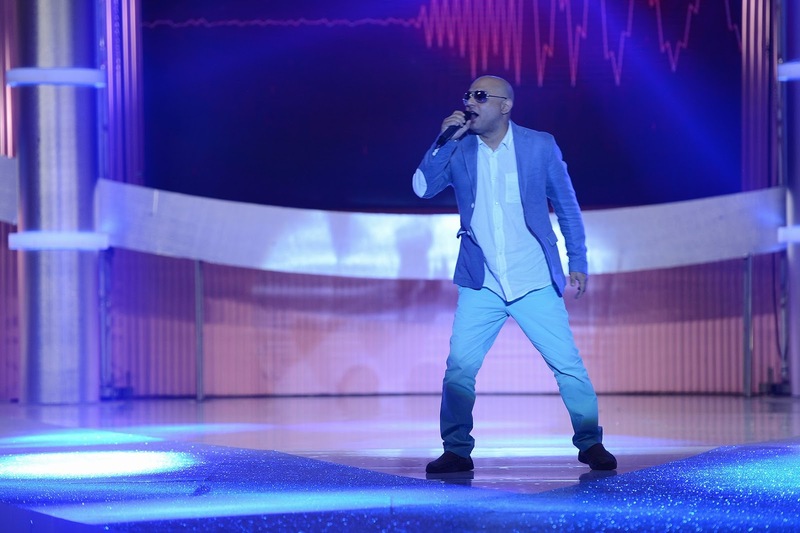 Veet Celebration of Beauty also featured music and dance performances, including numbers by Ali Azmat and Zoe Viccaji and dance performances by Mehwish Hayat and Sara Loren. 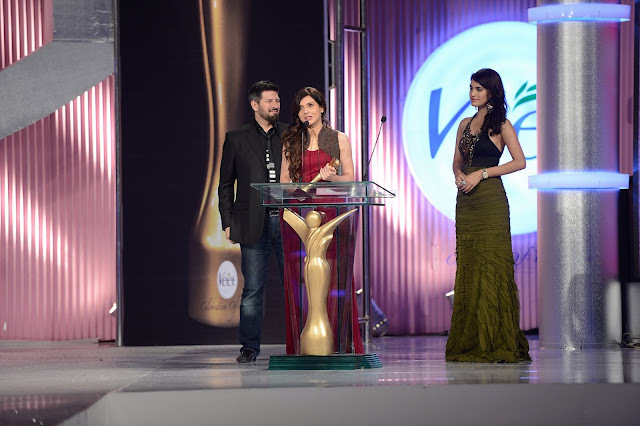 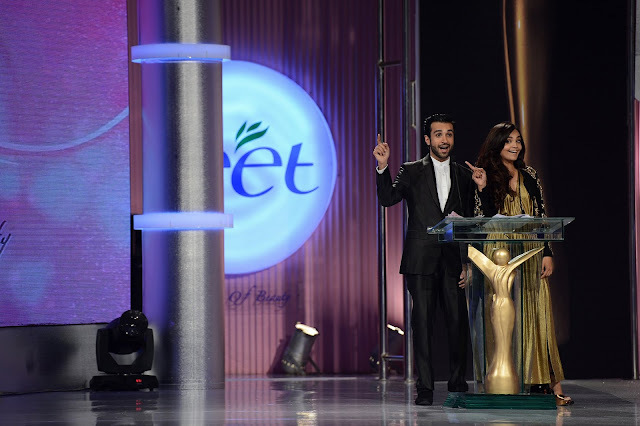 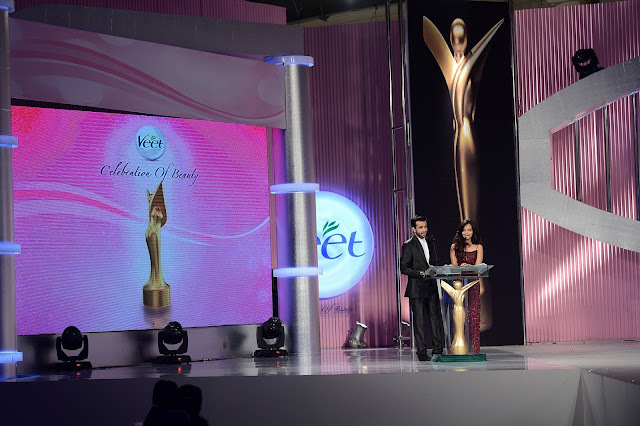 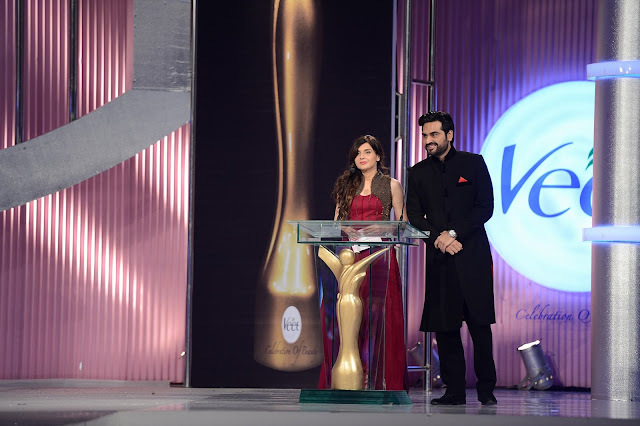 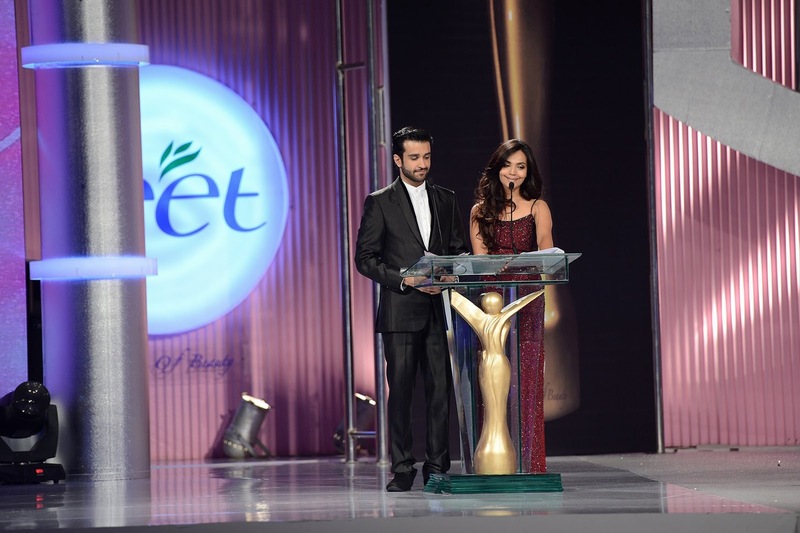 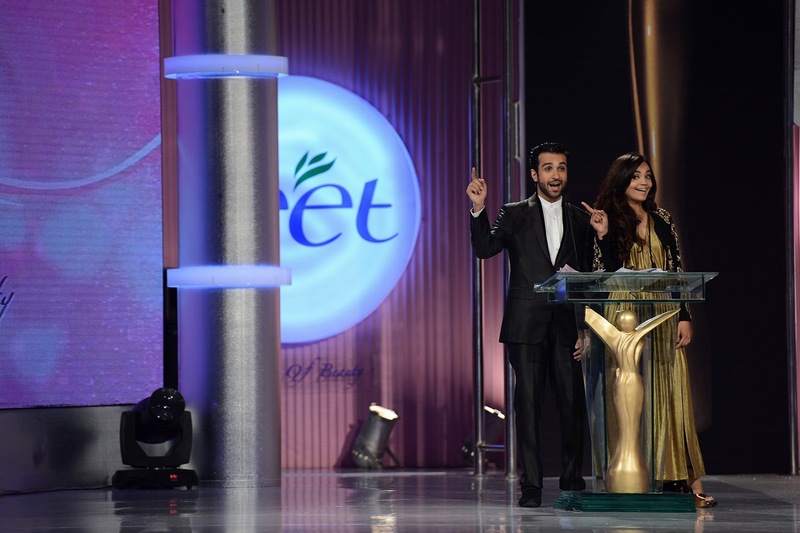 The first ever Veet Beauty Awards were presented to the best and brightest of Pakistan’s fashion, beauty and entertainment industries. 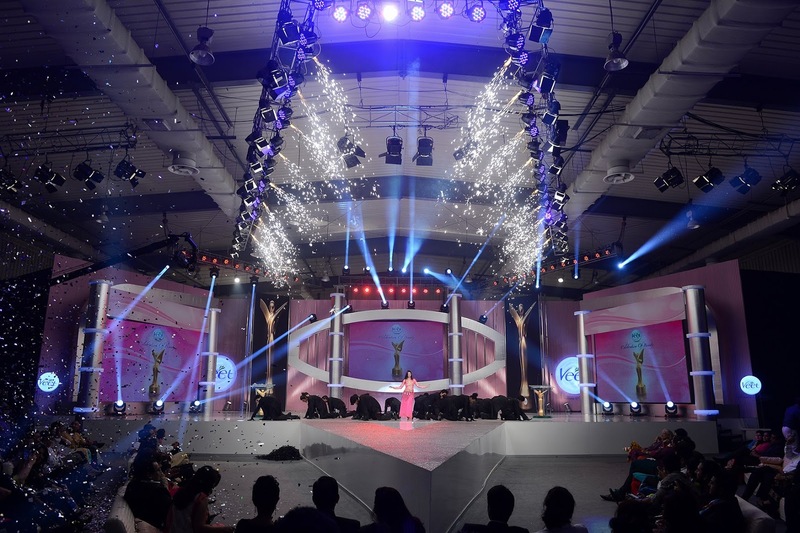 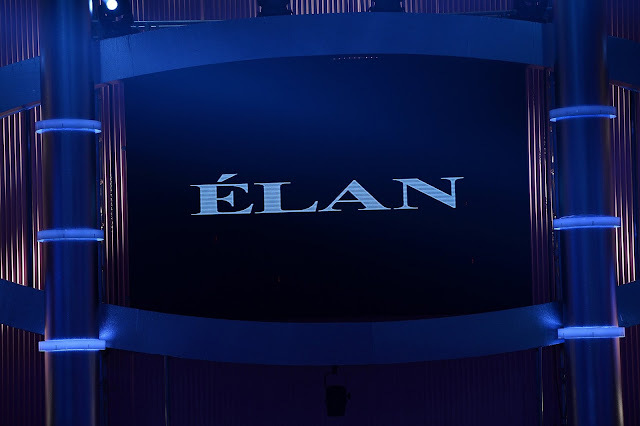 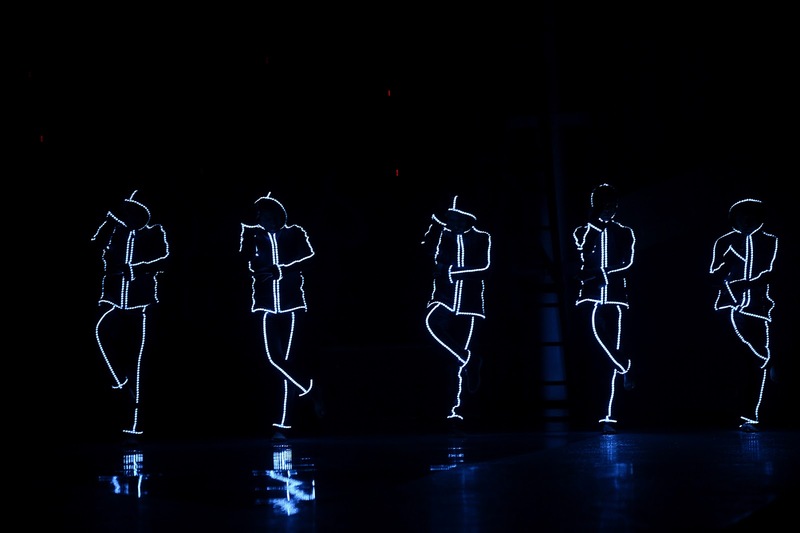 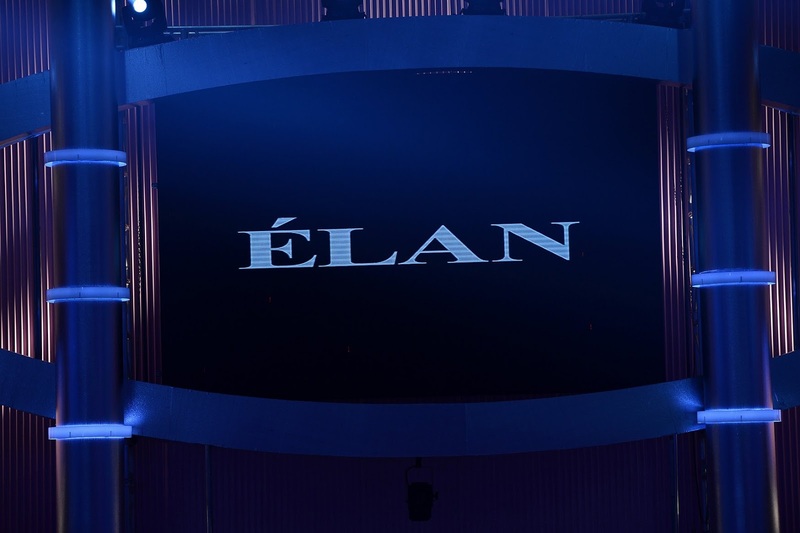 A total of 8 Beauty awards were presented during the unique fashion and entertainment showcase. 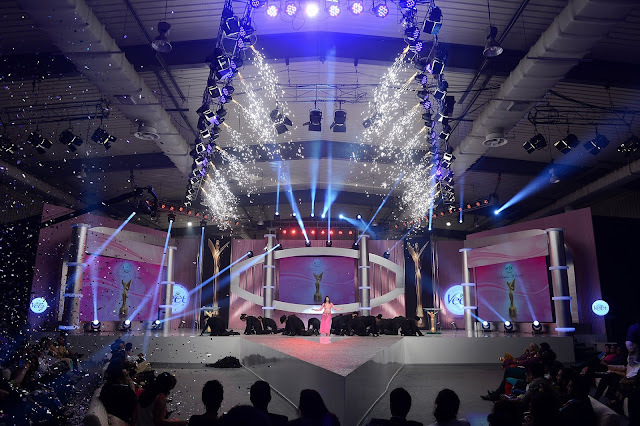 The categories included awards for: Most Beautiful Smile, Most Beautiful Skin, Best Posture, Miss Elegance, Miss Catwalk, Miss Photogenic, Most Promising Model and Most Promising Beauty of the Year. 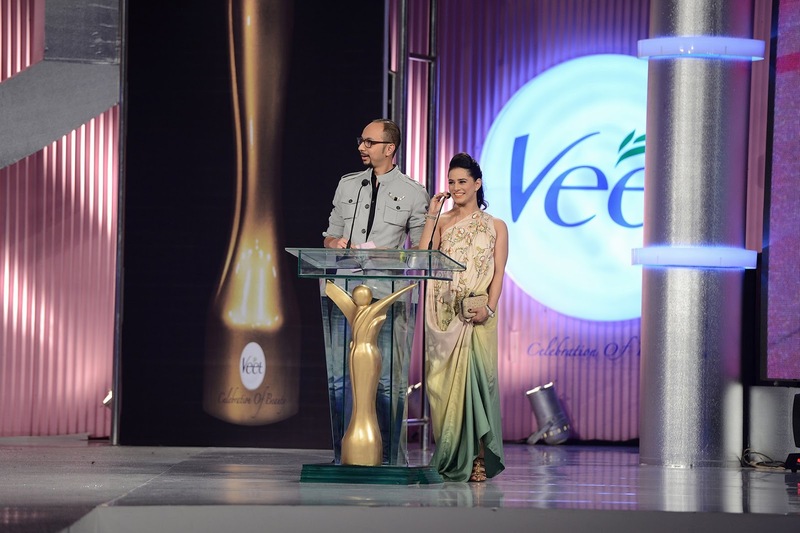 The awards categories were adjudicated by the Veet panel of judges consisting of fashion and beauty industry experts from across Pakistan. 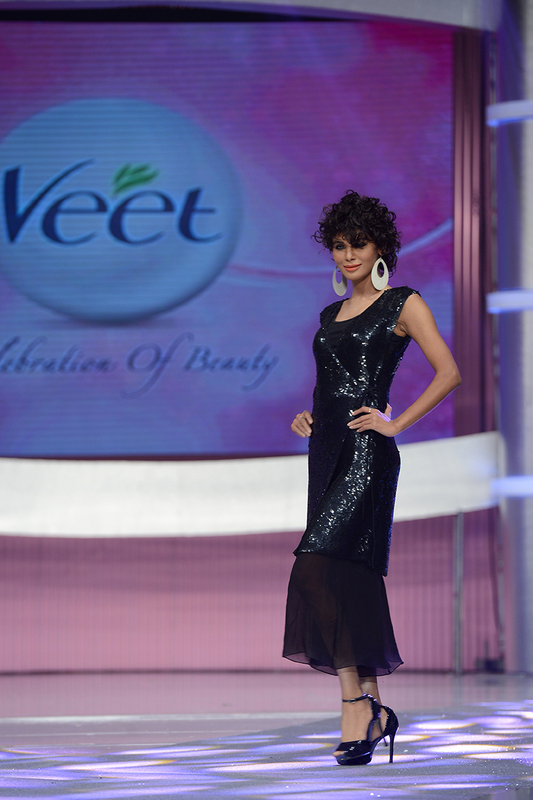 Viewers also had a chance on determining who won the coveted awards by voting online on Veet’s Facebook page; www.facebook.com/veetcelebrationofbeauty for two of the above categories; Most Beautiful Smile and Miss Elegance. Voting for the two Viewer’s choice awards concluded 48 hours prior to the award distribution ceremony. As a brand that strongly supports femininity and beauty, Veet has undertaken numerous initiatives to highlight and promote local modeling talent and provide an opportunity to young aspiring Pakistani females to pursue a professional career in this fast paced and dynamic industry. 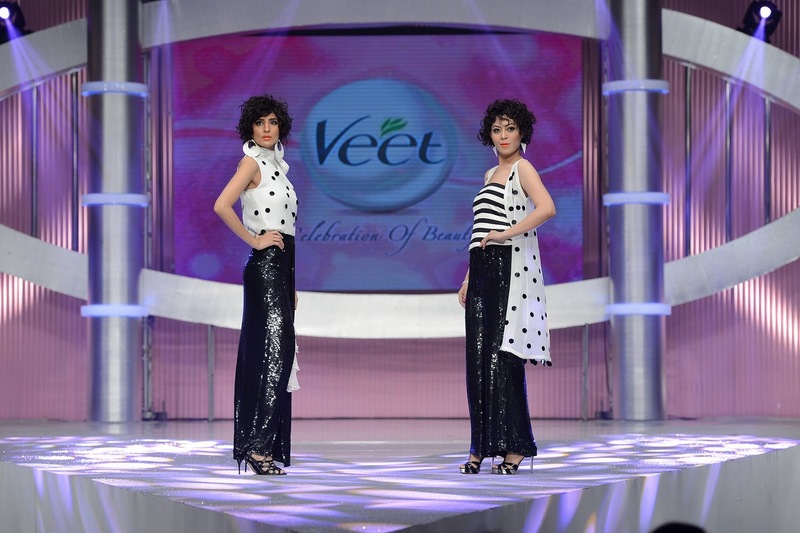 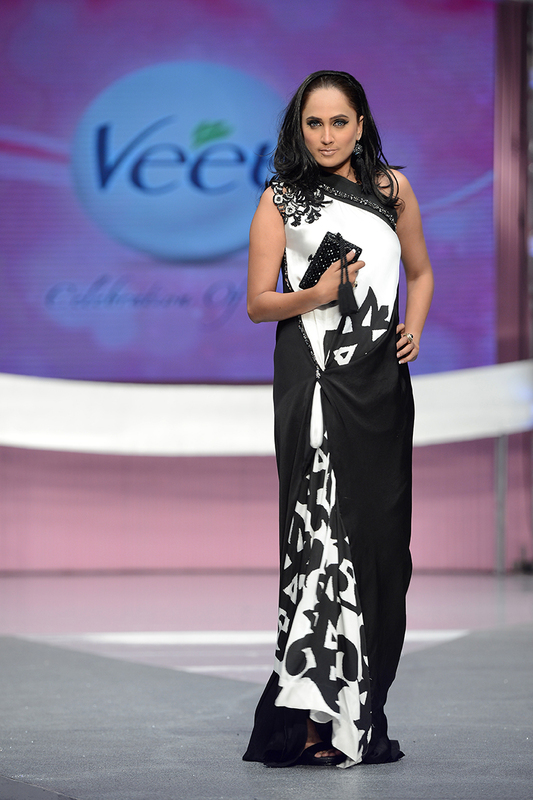 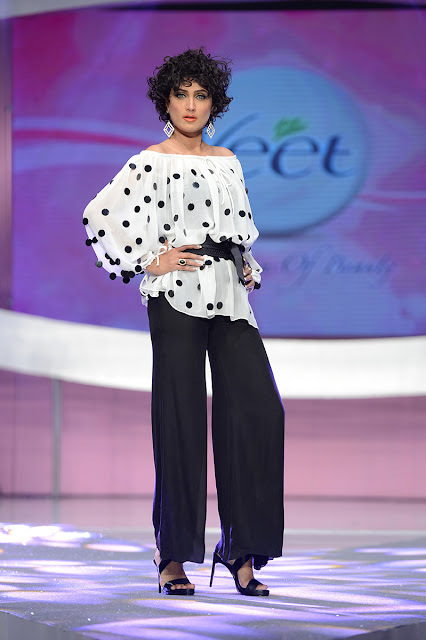 Veet Celebration of Beauty 2013 was styled by NABILA and her team with choreography by Nadia Hussain for the fashion segment. 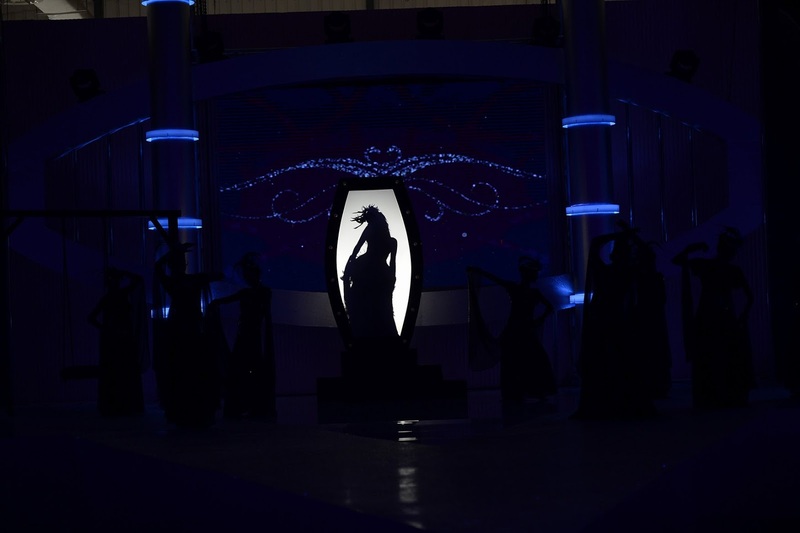 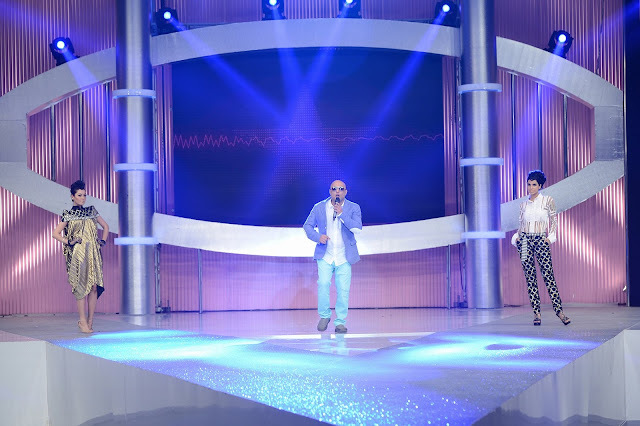 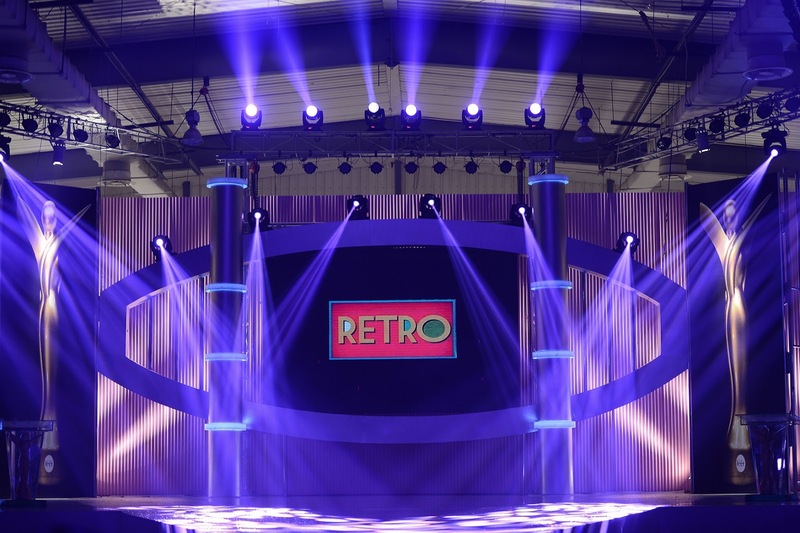 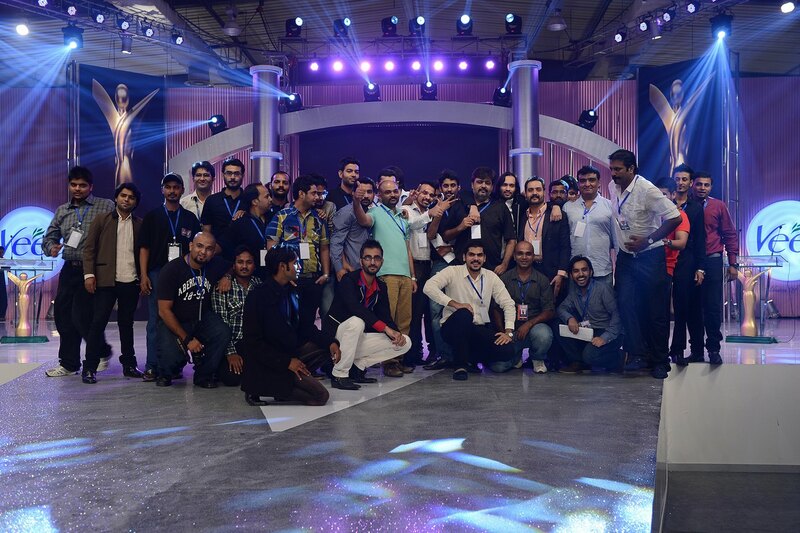 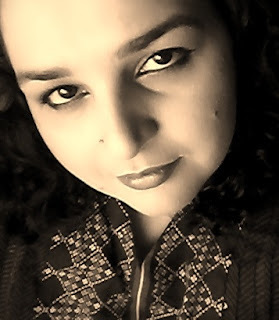 Show conceptualization was jointly undertaken by ARY Digital Network and NABILA and her team. Show production and event management was by ARY Digital Network, event coordination and logistics by ARY Digital Network and IRIS Event and Artistry, digital support by the team at Digitz, with photography by Faisal Farooqui and the team at Dragonfly. 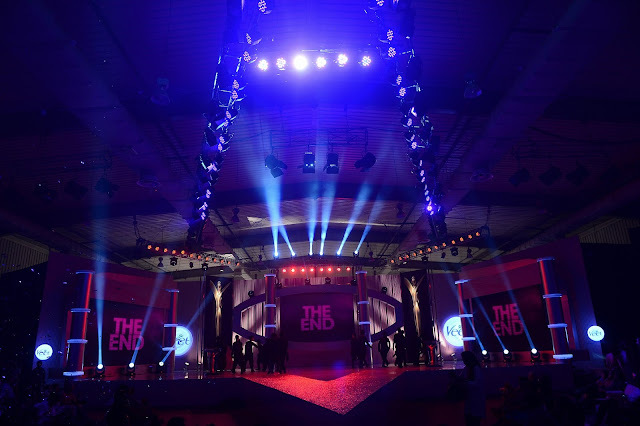 Expo Centre – Karachi were the Hospitality Partners with PR handled by Lotus Client Management & Public Relations. 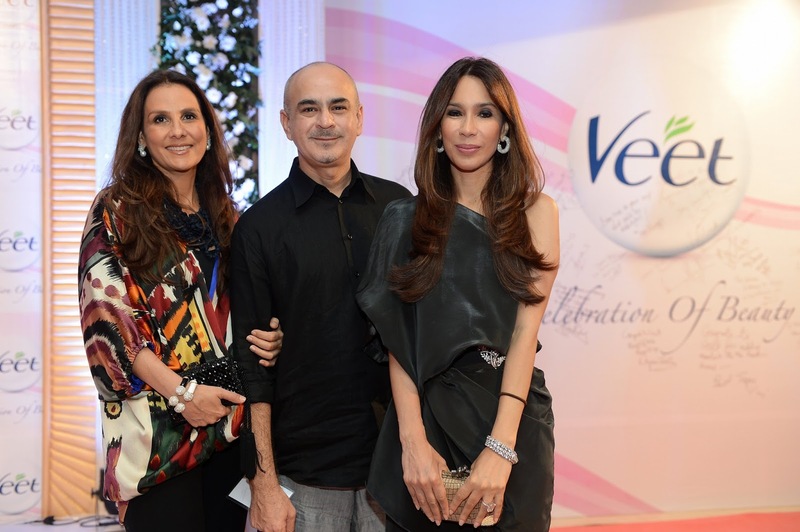 Thanks for sharing this, so many great photos!